Metal MEMS resonator fabricated using CMOS compatible process suffers from poor temperature compensation and low quality factor. 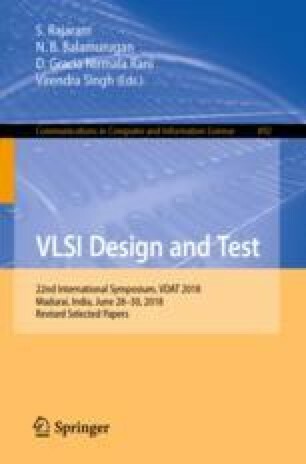 The design, simulation and fabrication of complicated composite structures using SiO2 & metals, to achieve low temperature coefficient of frequency may be difficult, expensive and time consuming. A real time temperature compensation technique using stress induced frequency compensation through mixed mechanical and electrical coupling scheme in dual band metal MEMS resonator for future dual frequency filters and oscillators is proposed. Mechanical coupler forces all the clamped-clamped beams to vibrate at uniform resonant frequencies. Whereas placement of mechanical couplers at low and high velocity points ensures minimum variations in mode shapes irrespective of the variations in temperature of clamped-clamped beams. Electrical coupling lessen the parasitic capacitance that appears across the input-output ports therefore provides better out of band rejection. The technique achieved a temperature coefficient of frequency of −4.4 ppm/°C at ambient temperature. A part of the reported work (fabrication) was carried out at the IITBNF, IITB under INUP which is sponsored by DeitY, MCIT, Government of India.